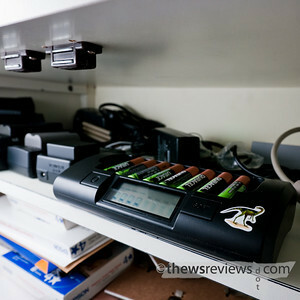 Nope, those are Duracell low-discharge rechargeable batteries. They're the same technology as the Sanyo Eneloops, but are easier to find where I am and not that much more expensive than disposables. Thanks for the tip. I have heard of the Eneloops, but I have yet to try them. How do the Duracells work with this charger? 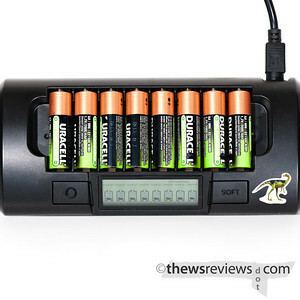 The Duracell batteries work very well. As with all of the low-discharge cells, they're not the most powerful on paper, but I've yet to notice a practical difference in actual use - except for the way they can sit in one of my least-used speedlights for months without needing to be recharged.